Here in Brno is one of the creepiest places I have ever visited. 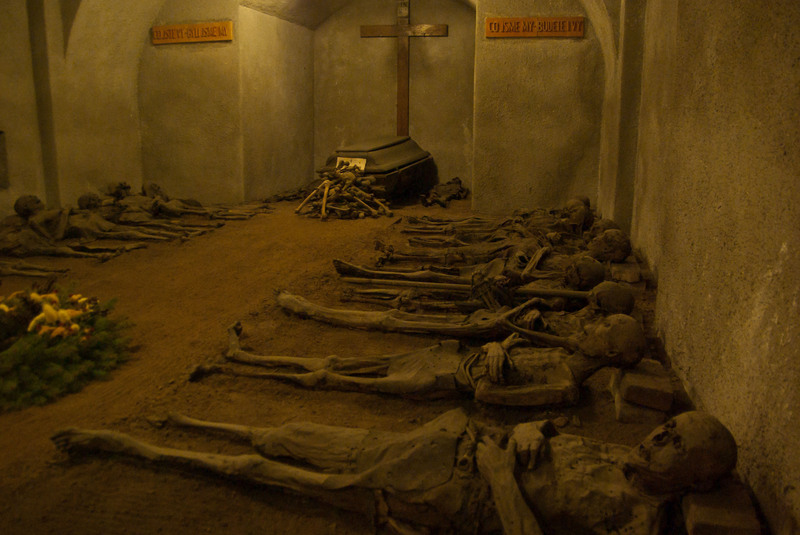 It is known as the Capuchin Crypt. 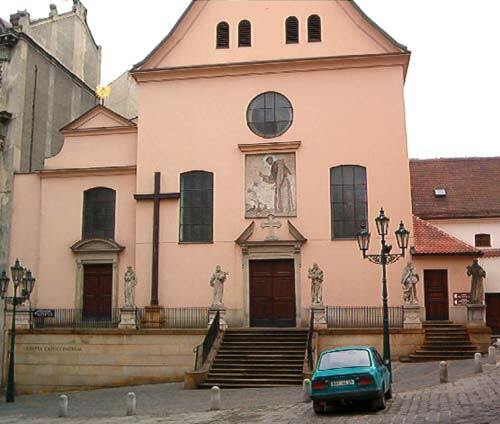 On the outside, it is nothing but yet another small but ornate church but inside…….. It is Brno’s strange and creepy mummy show…. The Capuchin monks who used the church for many years were an order who vowed poverty. As a part of this austerity program, they used just a single coffin over and over again, laying the body of their dead colleague on the ground, rosary in hand, in the crypt. Due to the nature of the soil and the air currents down there, the bodies became mummified. Each body was laid on the floor with its head on a pile of bricks that served as a pillow. The practice was later stopped by the introduction of new hygiene laws in the 19th Century. The result however, is that there remain 24 partly mummified monk bodies lain out carefully in the crypt. 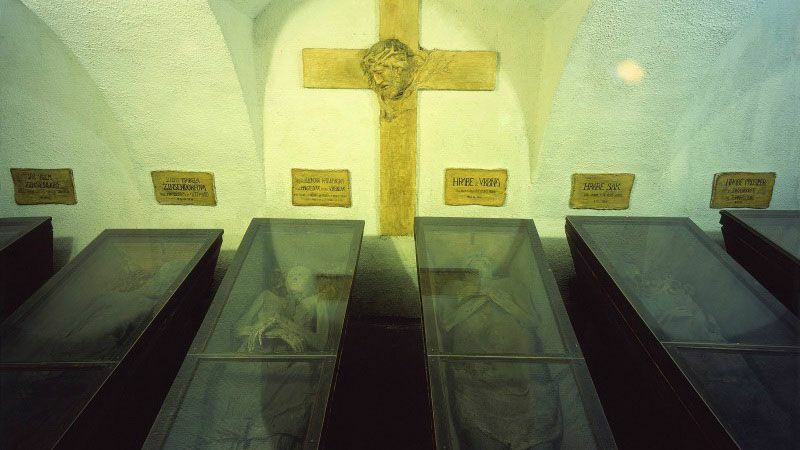 It’s not just monks however that lie in the creepy crypt but also benefactors of the order including Baron Trenck and Baron Franz Josef Kotulińskich with his wife Eleanor . These and other notables lie in glass-topped coffins adding to the gloom and eeriness of the place. A small entrance fee is all that it takes to visit the site where you will also be greeted with the sobering painted statement on the crypt itself – As you are now, we once were; as we are now, you shall be.